The definition of masculine and the factors females use to choose a mate are much more complex in men than in mice. (Health.com) -- Male mice who are exposed in the womb to bisphenol A, or BPA, a chemical compound found in some hard plastics and can linings, appear to be less masculine and less attractive to females once they mature, raising the possibility that the controversial chemical could subtly affect boys in similar ways. What's more, this reduction in masculinity appears to make BPA-exposed mice less attractive to those potential mates. In another experiment, female mice who were released into cages containing two male mice, only one of which was exposed to BPA, spent roughly half as much time in "nose-to-nose contact"-- an expression of sexual interest in the rodent world -- with the BPA-exposed mice, perhaps because the females sensed differences in their behavior, pheromones, or both. "The [BPA-exposed] mice outwardly look normal," says Cheryl Rosenfeld, Ph.D., the lead author of the study and an associate professor of biomedical sciences at the University of Missouri--Columbia. "We have measured their motor skills and done sensory skill assessments, and they look normal; you can't tell which were exposed. But when you go deeper, that's when you find this difference emerging. The fact that we found this sexually selected behavior is different." The findings were published Monday on the website of the journal Proceedings of the National Academy of Sciences. As with most animal studies, it's too soon to tell exactly how these findings might translate to humans, if at all. The limited research on BPA exposure in humans, including studies of male factory workers involved in the manufacture of products containing the chemical, has found associations between higher levels of BPA exposure (as measured in urine) and erectile dysfunction, loss of libido, low sperm quality, and -- somewhat counterintuitively -- higher testosterone. But there is no indication that BPA exposure has any effect on the masculinity of boys or men. The definition of masculine and the factors females use to choose a mate are much more complex in men than in mice, of course. 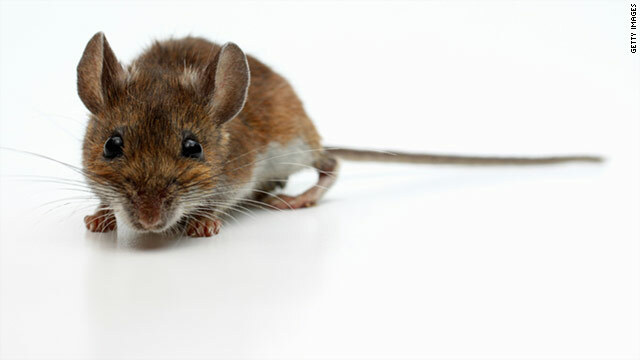 And the gap between birth and sexual maturity is much longer in men -- roughly 12 years versus about 60 days in deer mice. Still, Rosenfeld and her colleagues say their study may lead to new ways of exploring the effects of BPA exposure in humans. "In a human study, we often depend on an outcome like hormone levels," says Meeker, who was not involved in the new research but has studied a potential link between BPA exposure and infertility in men. "It's possible that BPA could be impacting reproduction in a way that wouldn't be picked up in our typical way of studying things. [This study] may inform how we go about studying those things in the future." BPA is found in the linings of some food and beverage cans, as well as in some hard plastic objects like reusable water bottles and baby bottles, although most manufacturers have phased out their use of the chemical. In 2010, the Food and Drug Administration issued a statement expressing concern about the potential effects of BPA on fetuses and small children, but the agency has stopped short of declaring the chemical toxic (as Canada has done) or banning its use in certain products. Despite the inherent difficulty of extrapolating animal research to humans, Rosenfeld says her study raises more questions about BPA's effects, especially in the womb. "[We] have sexually selected traits just like animals do, so there's no reason to presume that the animals would behave differently than humans," she says. "It also suggests that the development period is very important -- the period when offspring are exposed to endocrine-disrupting compounds. Pregnant women need to start considering what exposure to these compounds is doing to their offspring."